We are pleased that you have expressed an interest in partnering with us. An urgent need exists in our community for long term residential safe house programs for women. Our concern is for the millions of women who have no safe place to overcome these homelessness and abuse that their addictions are destroying lives. Not only do we break the chains of chemical dependency homelessness, and trauma, we treat the heart issue offering counseling, therapy, and the transforming love of Jesus Christ. You would be amazed at the difference this program has made in the lives of several young women in just a few short months. 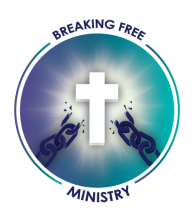 Breaking Free Ministry's desire is to provide long term residential treatment for those yearning to see their lives changed. We are a 501c3 nonprofit safe house residential treatment program that provides a safe and secure environment to receive housing support, physical, emotional and spiritual healing all while learning the skills necessary for self-reliance and reintegration into society. Our mission is to transform lives through unbreakable love while equipping these women to live healthy, productive, and Christ-centered lives. We long to change a culture and be part of the solution to this drug epidemic. We believe that in the end, love is the strongest force for change in the world. We need your help to do this. The total cost for implementing our flagship programs in the coming year is more than $150,000.We are a growing organization with dedicated, responsible, and goal-focused members who appreciate the tremendous generosity of our contributors who offer financial assistance to support our labor of love. Breaking Free Ministry depends entirely on your donations as we currently do not receive any federal or state funding in support of these essential programs. Through the generous volunteer and financial support of many – and the extraordinary support of a few – we believe that we can succeed in achieving our goals. We are confident of our continued growth as a community pillar and in our ability to fulfill our mission. Thank you in advance for your support.